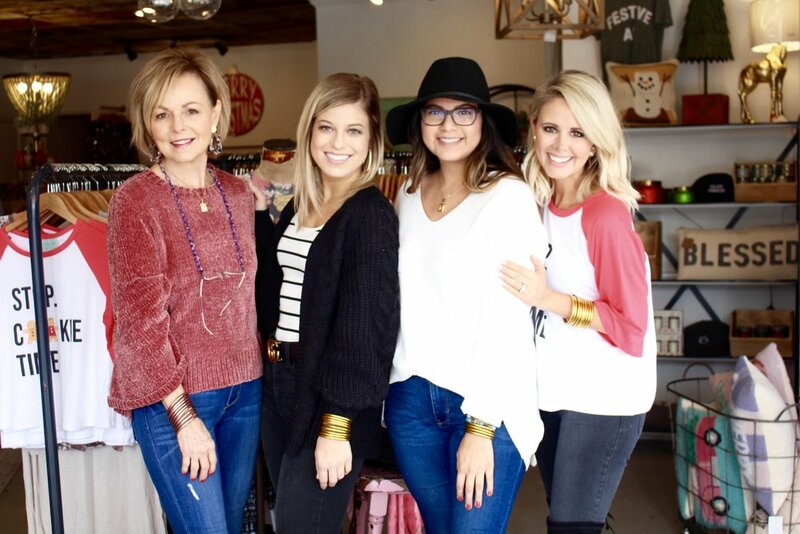 Hale House is one of our Fort Worth-based retailers that offers a clever mix of vintage-finds, jewelry, apparel and home goods. Hale House is well-known by the locals for its hostess, house warming, birthday gift items, complimentary gift wrapping and most importantly, their one-of-a kind, exceptional customer service. Hale House began in a 1955 Airstream Bubble selling mostly vintage-finds, home, gift and jewelry items on the road. Their first brick and mortar location was 1800 Montgomery Street in Fort Worth, and in 2014 they moved to 4900 Camp Bowie Blvd. Their fun product selection is inspired by a life well-lived. One of their best-sellers is of course BuDhaGirl’s All Weather Bangles. Hale House’s go-to holiday looks are Gold AWB paired with printed t-shirts or cozy knit sweaters. Comfortable, versatile and chic, AWB are so loved by Fort Worth BuDhaGirls because they’re easy to incorporate into any outfit no matter the occasion! Follow Hale House on Facebook and Instagram for updates on new arrivals, events and special sales. Shop Hale House online 24/7 and visit us in store Tuesday - Friday, 10am-5:30pm and Saturdays 10am-4pm.